As if the announcement of the Nokia Lumia launch date is not exciting enough… Nokia Malaysia is throwing in some awesome goodies for the launch event too! 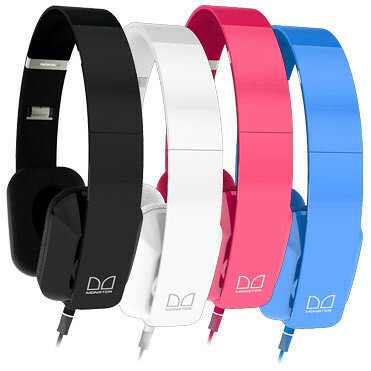 Be the first 100 to purchase the new Nokia Lumia 800 at the exclusive launch event and get a FREE Nokia Purity HD Stereo Headset by Monster, a Microsoft® Arc™ Touch Mouse and an exclusive Nokia premium worth up to RM1,000! 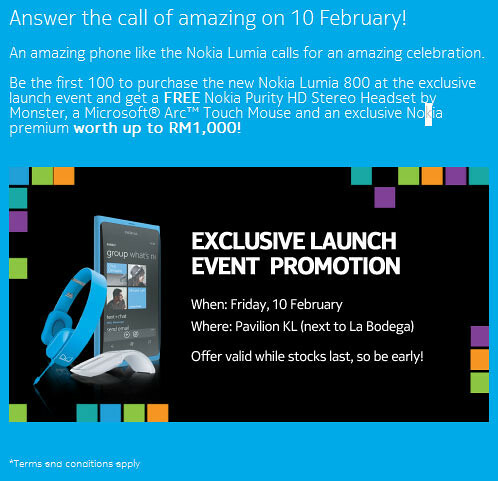 So be sure to get to Pavilion KL next friday (10th Feb) as early as you can to be the first 100 to receive the 2 premium gadgets when you purchase the Lumia 800! 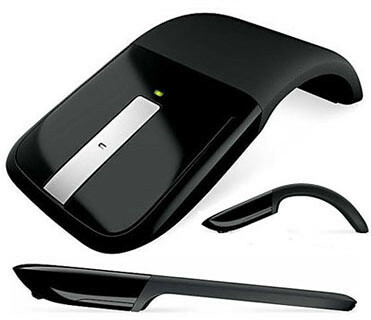 5 Responses to "Nokia Lumia Malaysia Launch: First 100 Get FREE Nokia Purity HD Headset by Monster & Microsoft Arc Touch"
no problem! r u gonna b there early for this?